Dow Jones today, August 5, 2014: U.S. markets roared back on Monday, boosted by strong quarterly results from Berkshire Hathaway (NYSE: BRK.A). The company's B-shares (NYSE: BRK.B) were up 3.25% on the day. The S&P 500 Index climbed yesterday after the market lost roughly 2.7% last week. The markets also reacted positively to news that the Portuguese government will offer nearly $6.6 billion (4.9 billion euros) in emergency lending to stave off the collapse of its largest financial institution, Banco Espirito Santo. The Chicago Board Options Exchange Volatility Index (VIX), which gauges investment fear, slipped more than 12% on the day. Ceasefire: The world is hoping that Israel and Hamas will be able to reach a sustainable peace agreement. The two have agreed to a 72-hour cease-fire in Gaza, which began this morning. 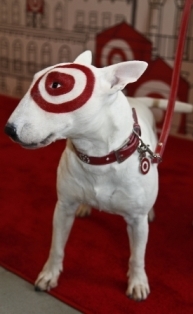 Target Troubles: Shares of Target Corp. (NYSE: TGT) slumped nearly 4% in premarket hours on news that the company slashed its 2014 earnings expectations and raised red flags about its business in Canada. The announcement is a difficult start for new Chief Executive Officer Brain Cornell, who recently took the helm after spending a decade at PepsiCo Inc. (NYSE: PEP). Around the World: Shares of Gannett Co. Inc. (NYSE: GCI) were up more than 4% yesterday and another 6% in premarket hours on news that it will acquire a 73% stake in Cars.com for $1.8 billion. This figure is less than Cars.com had hoped for in a deal. Earlier this year, the company put itself up for sale, hoping to fetch an asking price of $3 billion. Gannett also announced plans to create two separate publicly traded companies by splitting its broadcasting and digital businesses from its publishing division. Earnings Beat: Shares of Coach Inc. (NYSE: COH) were up 6% after the company announced it beat quarterly market expectations, citing stronger sales in foreign markets. Meanwhile, shares of solar and LED manufacturer GT Advanced Technologies (Nasdaq: GTAT) jumped more than 12% this morning on news that the company raised its 2014 profit outlook.